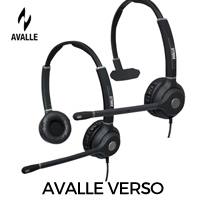 Choosing a headset for your business can be a complex matter, there are so many features and options to choose from – we list below some of the most basic questions that should be asked when selecting the best headset for you and your working environment. Of course personal preference and brand loyalty sometimes come into the equation but we can not comment on these factors. The initial decision faced by someone buying a headset may well be whether to buy a one eared ( monaural ) or two eared ( binaural ) headset. Basically a monaural headset will allow the wearer to have one ear on the rest of the world, be it listening to, or communicating with colleagues whereas a binaural headset will effectively block all external interference allowing the user to fully concentrate on the conversation. Further to the number of earpieces some manufacturers take into account ‘actual wearing styles’ and as such there are options such as over the ear, behind the head, behind the ears and over the head. 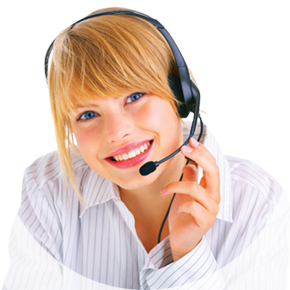 To a large extent the way in which one’s headset connects to the phone system is determined by the system itself. For example many Unified Communications. Skype for Business/ VoIP systems will expect a simple USB connection from the headset. Traditional phone systems connect with a RJ11 lead into a telephone. Choosing the right lead for your headset can be confusing with the myriad combinations available so do feel free to call us on 0844 854 6850 should you require any advice. Further to the options of connectivity we must look at the other major decision – that of wireless or wired. Well, the pros and cons are obvious. On one side a wireless headset will allow the freedom of movement away from the desk, though at the same time will be limited in use by the battery charge ( though nearly all models will carry at least a day’s usage ). This can well be a personal choice, though the type of telephone system often will dictate the type of headset connection to an extent. It is possible, even with wired connections , to add a handset lifter or a Bluetooth™ transmitter in order to create a wireless connection where none would otherwise not exist. 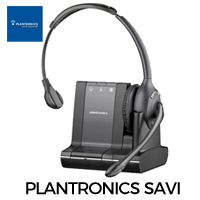 In many instances due to either economies of scale or to technical experience a large company will tend to stick with the same headset manufacturer across departments – of course opting for basic models and executive ones where suitable. 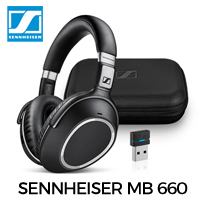 The top business headset manufacturers are Sennheiser, Jabra and Plantronics who dominate a large percentage of the UK market though smaller competitors such as Avalle and JPL. All these manufacturers produce high quality headsets for business with their own style in design and some of their own distinctive features. As with many things, when choosing a headset for work we suggest talking to an expert, either confer with friends or colleagues or get in touch with us and we would be very happy to put our experience to work in giving you the best advice possible.